In the run up to her Gnomon Master Class, the VES Award nominee runs through her workflow for China Girl in Oz the Great and Powerful, her favourite hidden tools in Maya, and gives her three top tips for young animators. In-Ah Roediger began animating traditionally in 2D in Luxembourg, near her native Germany. Her student film Jurannessic won numerous awards and was used as a trailer for the Annecy International Animated Film Festival. She began her professional career at Framestore on Harry Potter and the Goblet of Fire, and has also worked at Guerrilla Games and Double Negative. She recently worked at Sony Pictures Imageworks as a senior animator on The Smurfs and Cloudy with a Chance of Meatballs 2, and was a supervising animator on Oz the Great and Powerful. She has just finished work on Guardians of the Galaxy at MPC. This month, In-Ah will be discussing her animation workflow in Gnomon Master Classes 2014: the Gnomon School of Visual Effects’ series of interactive online workshops, which take place from 23 June to 6 July. In the run up to the classes, we caught up with In-Ah to dissect her VES Award-nominated work on Oz’s China Girl, uncover Maya’s hidden secrets, and discover her three top tips for young animators. CG Channel: What will you be covering in your Gnomon Master Class? In-Ah Roediger: It’s basically a walkthrough of my animation process when approaching a shot with lip-synch and acting. I’ll also be covering shot planning. Having a good idea of what you want in your shot will make it easier when blocking in your poses, getting you better developed beats. CGC: Different animators have different strategies for lip-synching. What’s yours? IAR: It’s mostly a mix of two things. First, breaking the audio down very accurately – basically scrubbing through the audio in a media player and noting every sound. You can also scrub in Maya, but I find it can be a bit inaccurate for some reason. And second, reference: either from yourself (filmed or using a mirror at your desk) or from the actor in question, if there is a witness cam recording available. Put it onto an image plane of your camera and use it to block in your first pass. It’s amazing how much it helps to be able to frame through the movements of the mouth – which doesn’t necessarily correspond with what you might expect it to do. CGC: We talk about animation being ‘cartoony’ or ‘realistic’. 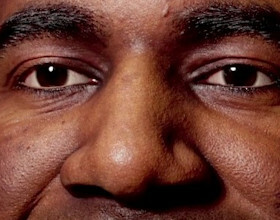 Is there an equivalent for lip-synch? IAR: In my opinion, yes. Just think of China Girl from Oz the Great and Powerful and Flint from Cloudy with a Chance of Meatballs. Even though the general shapes of phonemes are the same, they can be so exaggerated and stylized in a cartoon that they are hard to compare. High four: In-Ah describes her animation workflow as “pretty lo-fi” from a technical standpoint, with a focus on obtaining accurate audio breakdowns and reference material for lip-synching work. CGC: Would you describe yourself as a technical animator? IAR: I think I qualify as pretty lo-fi. I set my key frames and work within the Graph Editor a lot, using few tools. When I do, they are usually scripts I have collected over the years. I’ll use an IK-FK switch tool, if available; otherwise I just bake out the animation on the controllers onto locators, switch and re-bake … nothing fancy. CGC: Give us your top Maya tip. IAR: I realised over the last few years that it’s the really basic tips that blow my mind the most. For example, holding the [W], [E] or [R] key and clicking into the middle of the controller in the viewport lets you change the World/Local/Gimbal axis with a simple click and drag. I never knew – it blew my mind a few weeks back. Or holding the middle mouse button on a pose you like, with the controllers whose values you want to copy selected, dragging it along the timeline – which doesn’t play along when you scrub with your middle mouse button – and then just dropping the keys onto the frame you want to copy it to. Maybe common knowledge to lots of animators, but I keep on discovering these shortcuts from colleagues on every show I work on! In-Ah’s VES Award-nominated work on Oz the Great and Powerful. Finding an animation language for China Girl that balanced the character’s feistiness with her physical fragility was a tough challenge. CGC: Do you have to like the character you’re animating to get an appealing performance? IAR: I think it helps a great deal when you like a character and can imagine how they would move intuitively. But the fun of being an animator is that you get to work with characters that are very different – sometimes not even human – and that they usually have very little to do with how you are as a person. It is also important to know where your strengths lie. Some people are very good at performance; others excel at physical shots with a lot of action. I’m definitely more comfortable working on character shots. CGC: What’s the most challenging character you’ve ever animated? IAR: That would have been a little baby giraffe that I worked on for a small Dutch studio [AAA Pictures] a few years back. It was challenging because it [The Seven of Daran: Battle of Pareo Rock] was a low-budget/high-ambition film with limited resources, a limited rig, limited everything. Getting to a result that looked good was probably the most challenging task I have had so far. 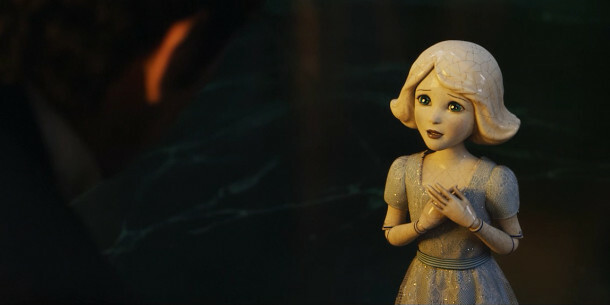 CGC: What about China Girl in Oz the Great and Powerful? She isn’t conventionally stylised, but she isn’t conventionally realistic either. IAR: She was a difficult character to find the animation language for. We had to make her feel like a fragile porcelain doll, but at the same time a feisty little girl with a lot of pizzazz. After numerous tests, we found it best to start off by sticking quite closely to what the marionette [used on set] would do in the shot, based on the witness camera footage we had available, and then add weight and clean it up. If there was no reference footage, I would animate her according to video reference I would film of myself and then add ‘wobble’ – basically a noise attribute, keyed every four frames, and then cleaned up to make it feel natural. It was tricky to get it right, but you got a sort of ‘feeling’ for it after a while. In-Ah’s current showreel. Keep your own reel short, she advises – and if you need to excuse it, don’t use it. Even if you think you’re being polite, apologising for your work never lands you a job. CGC: What’s the best piece of career advice you’ve ever been given? IAR: “Keep it short – and if you need to excuse it, don’t use it!” I don’t even remember who said that: I think it was during one of the classes I had on showreels when you leave school and go out there to find a job. But it is the best advice, because I now know for a fact that reels get flipped through at high speed, and that people who are constantly apologising for their work never get hired, even if they think they’re being polite. CGC: What’s the most common mistakes young animators make? First, spending too much time on things. It’s great to do all the reference gathering and filming in the world, but at some point you just need to get on with it. Second, holding on to their ‘darlings’. If your lead or supervisor says your idea doesn’t work, kill it. Take it out and rework your shot. Don’t fall into the trap of just trying to adjust what you already have – they won’t magically like it next time around. And third, trying to hide. Your colleagues and superiors are there to help, so don’t be afraid to show them the current status of your shot. The earlier you rip that Band-Aid off, the better. A still from The Seven of Daran: Battle of Pareo Rock. 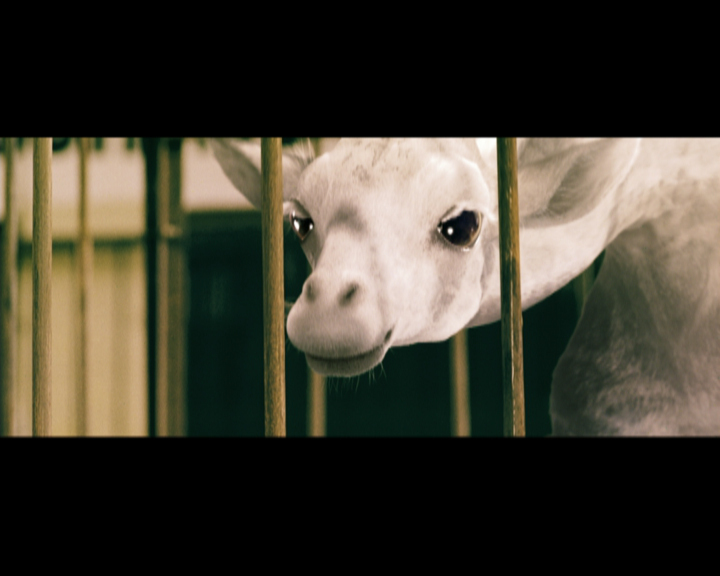 In-Ah describes animating this albino baby giraffe for the “low-budget/high-ambition” Dutch feature film as one of the bigger challenges of her career. CGC: Tell us something about your career that nobody knows. IAR: Not sure… maybe that I came from a traditional background of hand-drawn animation with pencil and paper. Very retro, but a great schooling for the eye, and for timing and poses. I also loved animating with sand and paints, and I’m a big fan of abstracts. IAR: When everything comes together: I’m in the zone and manage to animate exactly what I had in mind, and it gets approved right off the bat! Ah, the dream. CGC: What do you wish you’d known before you started work in the industry? IAR: That’s pretty difficult to answer, since we’re talking about the 23-year-old me, many moons ago. Everything I’ve learned since then has become a big organic pool of information, all of which is important to me. I know now that I am working on someone else’s film and vision; that I am lending my skills to whatever show I am currently on. I strive to give my best, but I know the frustrations of never-ending notes and forever-changing edits. You need to have a healthy approach to your job: do it well, but don’t kill yourself over it.